Matthew Brady, sir! Meet Ty Guillory. 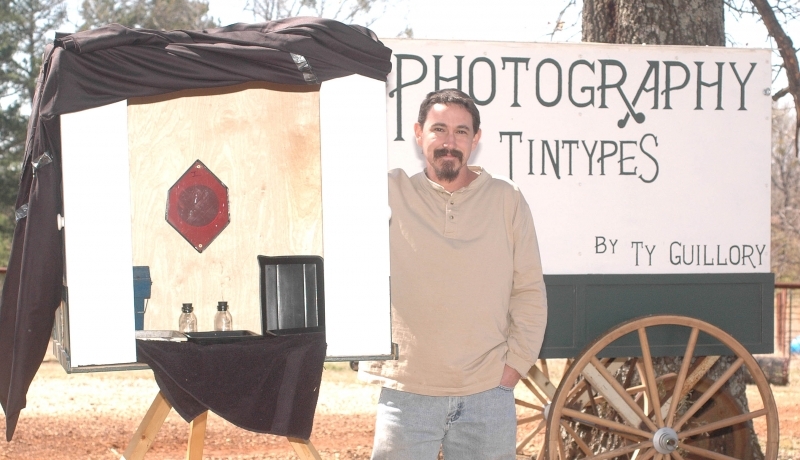 Guillory, a 33-year-old Louisiana native now living in East Texas, has fallen in love with the type of photography made famous by Brady and his corps of young tin type photographers who created the images from the battle fields of the Civil War (1861-1865). 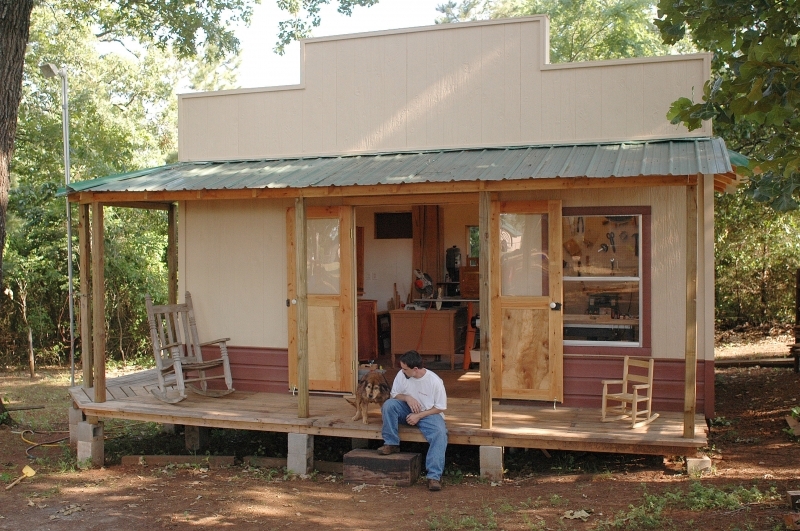 Guillory lives on a farm in the rolling landscape in Southern Wood County. 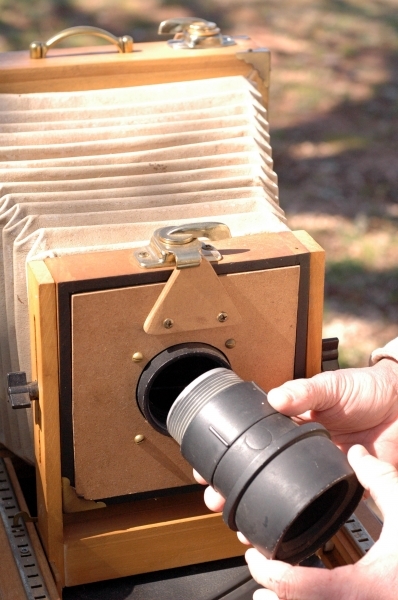 He has studied the design of the cameras from the mid-1800s and built his own, from scratch. Only the lens he put in his camera dated back to those early years. He studied the chemistry used in those days, found that comparable chemicals today had different names and with much help from one who has been working in the field for a number of years already, John Coffer of Dundee, N.Y., Guillory set out to reproduce today, those days of yesteryear. Among the notable and historical figures to have their likeness reproduced in tintype were Abraham Lincoln, General Robert E. Lee and Billy the Kid, shortly before he died. 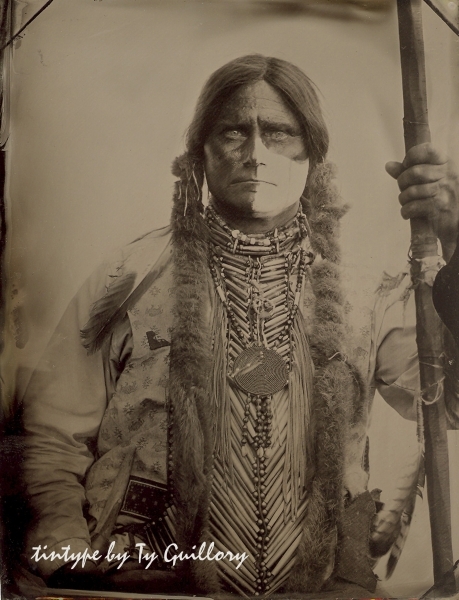 "I wanted to recreate those images" he says, and he wanted to recreate tintype photographs using the same procedures of the mid-1800s. 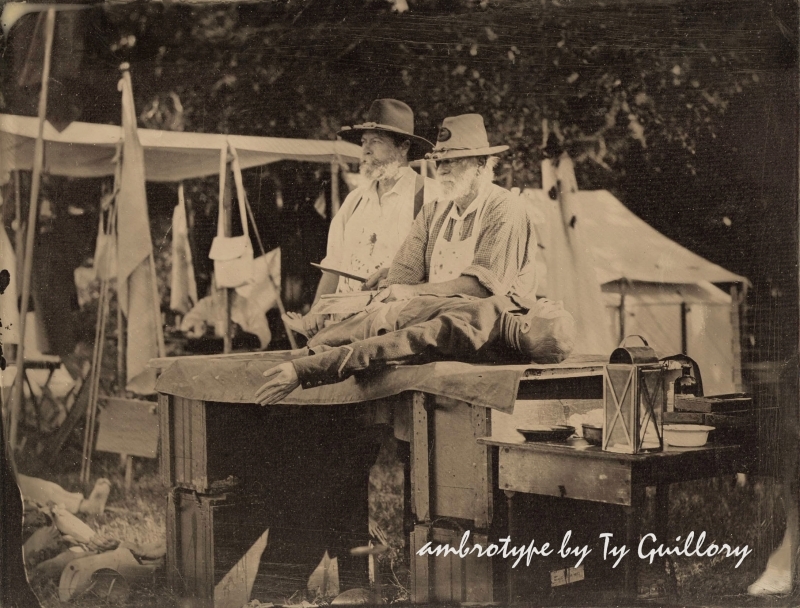 He built his first camera, his portable "darkroom," mixed his chemicals, baked his own metal plates and set about taking his show on the road, mostly to Civil War re-enactments, though he'd take it to other historical gatherings where he thought people might enjoy having their images reproduced in tintype. Guillory then found that he and Coffer and a handful of others weren't alone in their quest to turn back the photography clock. There are, Guillory said recently, a number of people across the country that are interested in having and using cameras of that era. 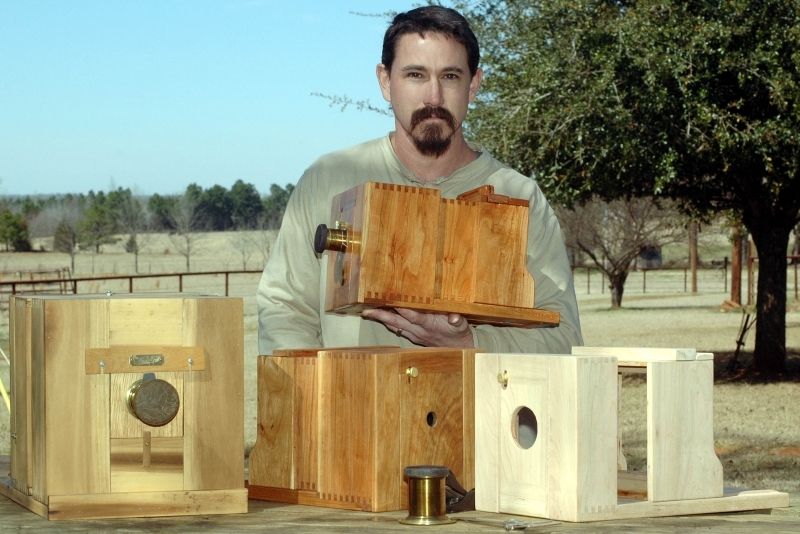 So Guillory has gone into the business of hand-crafting the Civil War era cameras used by the Brady bunch (no pun intended). 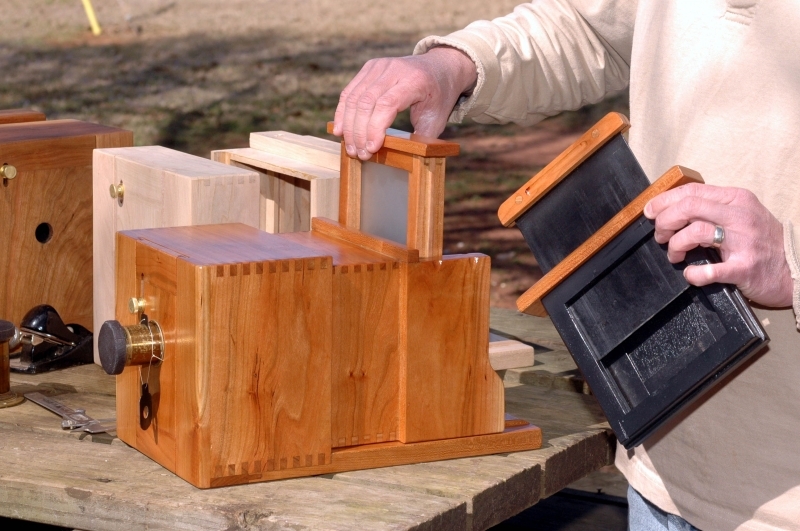 Each camera is created using cherry wood and mahogany and has a lens from the 1800s (and they aren't easy to find). Guillory said he has approximately 100 hours in the design and construction of each camera but when they are finished they are a beautiful piece of art. The various pieces of wood fit together, tongue-and-groove, in such a fashion as to prevent warping or twisting of the wood. "It's all a big puzzle," Guillory said. 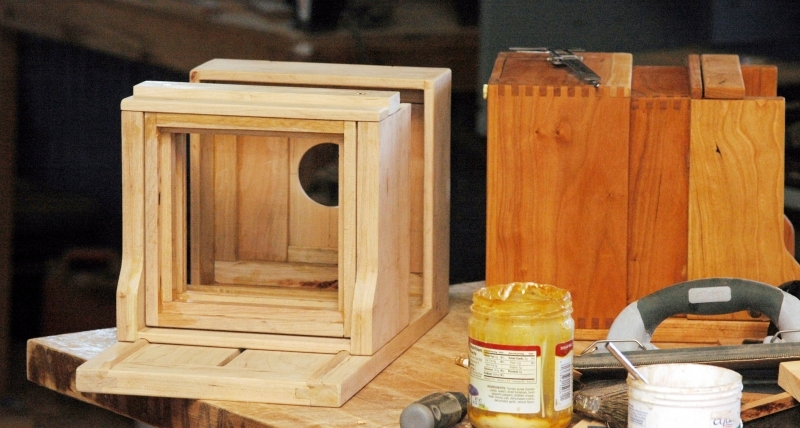 Each camera is finished with three coats of Danish oil and then eight coats of lacquer. "Wet plate stuff seems to be recession proof," Coffer had written Guillory. And so it may be. 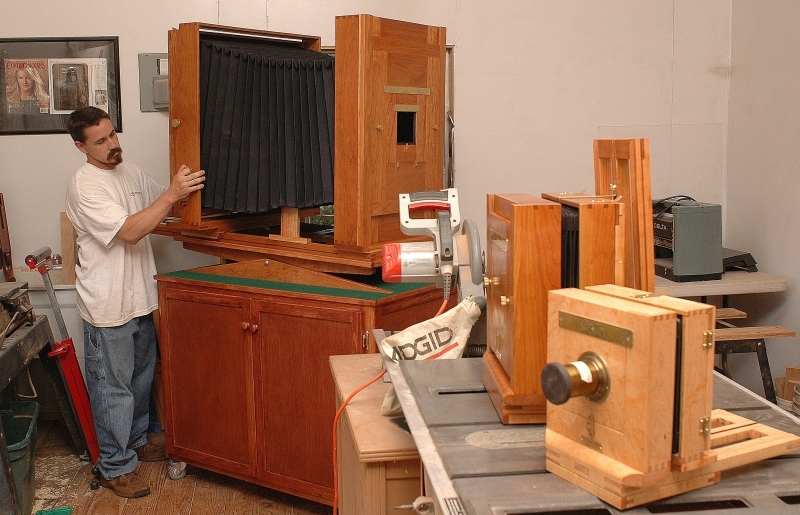 One of Guillory's cameras will be shipped to California where it will be used as a working demonstration of tintype photography in a number of workshops in 2009, and then it will be returned to him. Ty Guillory is artistically unique. 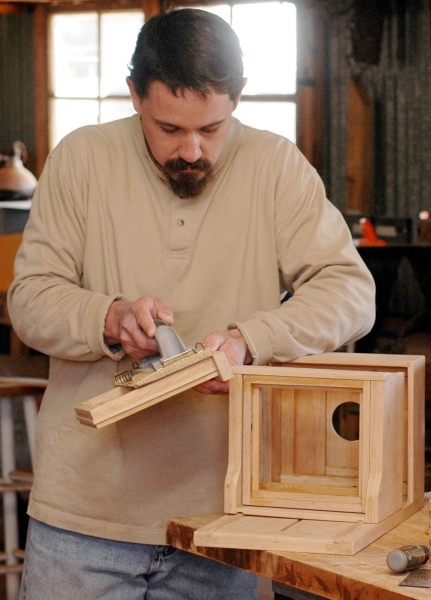 He's found something he's passionate about and thanks to a supporting wife, Tina, he's able to chase his dream. "She is," he said while walking to the shop where he creates his cameras, "the one with a real job." We'll stay in touch with Guillory from time to time and bring you up to date regarding his quest to turn back to the clock in an artful manner. He has moved from making Civil War cameras to making period furniture. Guillory can be reached through his www.Tyguillory.com website.